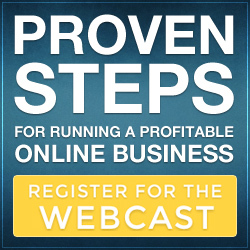 It makes sense to follow proven steps to success online. We all know that crossing a stream is much easier if someone has put stepping-stones there. Then you can just follow in their footsteps. You don’t have to wade out carrying heavy stones yourself. You don’t have to spend the time testing every step as you look for the safe, shallow spots. It’s just common sense right? Well this basic principle extends to almost every area in life – why reinvent the wheel after all when it’s already there? It’s super relevant in the world of internet business but whose “stepping stones” can you trust? In the last 20 years or so as the Internet has grown from useful novelty to parallel universe there have been many successes and failures. Like all endeavours in life both success and failure leave trails. The smart person will tend to follow the success trail. It’s often the harder and less shiny of the two but then shiny stepping stones tend to be slippery …. Much better to follow proven steps to online success as they have yielded positive results time and time again. When it comes to transitioning to the digital economy – stepping out of the status quo and redesigning your life online proven steps are what you need. You don’t need pie in the sky, get rich quick spells and potions – we all know they don’t work. But with so much confusing information out there how best to separate fact from fiction? For my money Six Figure Mentors and Digital Expert’s Academy offer the best route. As from the trenches educators of all things digital marketing their 8 year track record building 6,7 and 8 figure internet businesses in multiple niches speaks for itself. If you’re looking for proven steps to success online you’ll find them here. I you’re looking for a franchise style business partnership without the usual hassles, theirs is one of the most lucrative in the industry. But we may be getting ahead of ourselves here. You really need to know what the proven steps are before you can take them. To that end I’d like to suggest you tune into a completely free, eye opening webcast with SFM and DEA co-founder Stuart Ross on the link below. Appropriately enough it’s titled Proven Steps and you can register for it at a time that suits you.